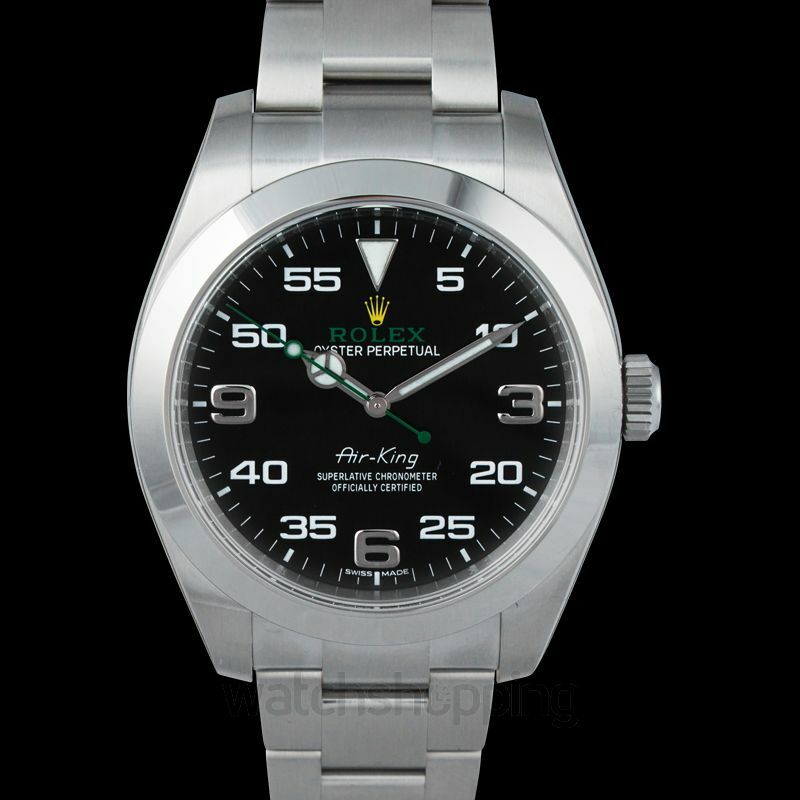 Rolex 116900 Black or the “Air-King” is one of the most iconic watches in the history of watches. 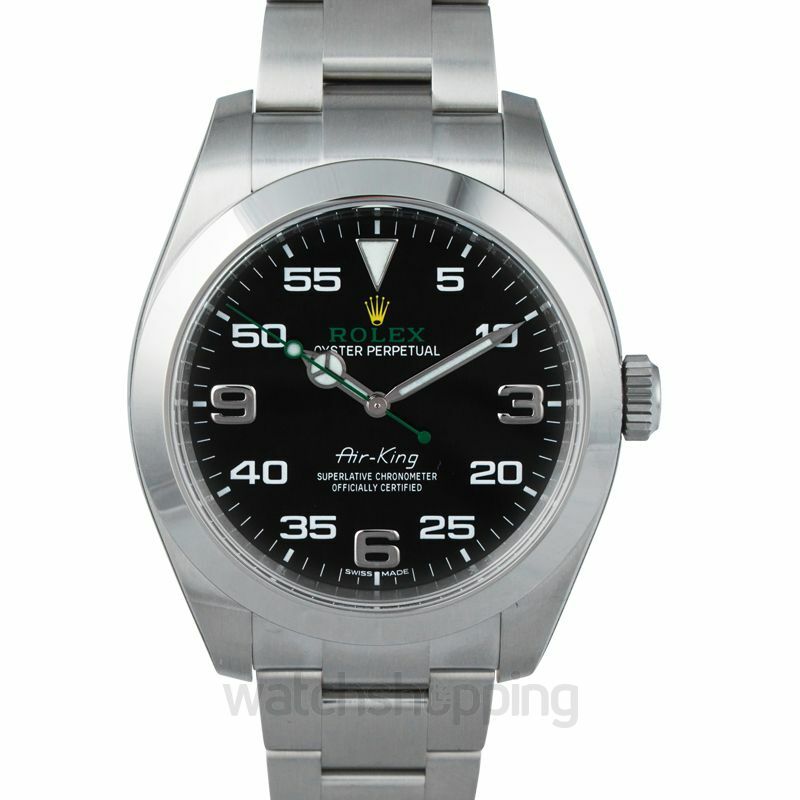 This watch can be recognized by virtually anyone who knows about Rolex. The watch has a fair share of coverage on the big screen as well. 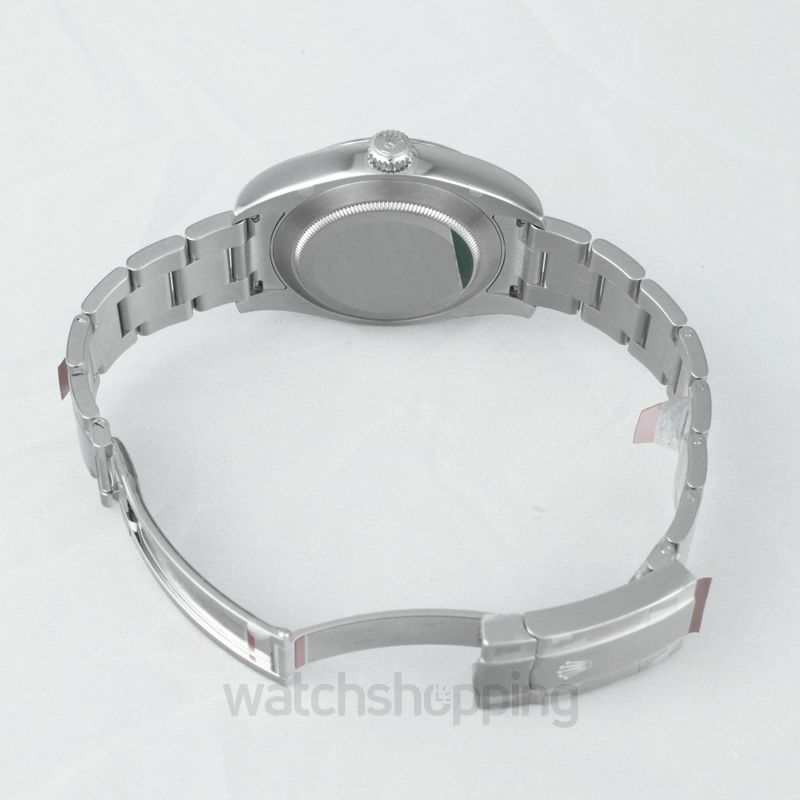 The 40mm bezel is created with 904L stainless steel, and the bracelet is also the same steel oyster with folding oyster clasp. The watch is powered through the Perpetual 3131 movement. 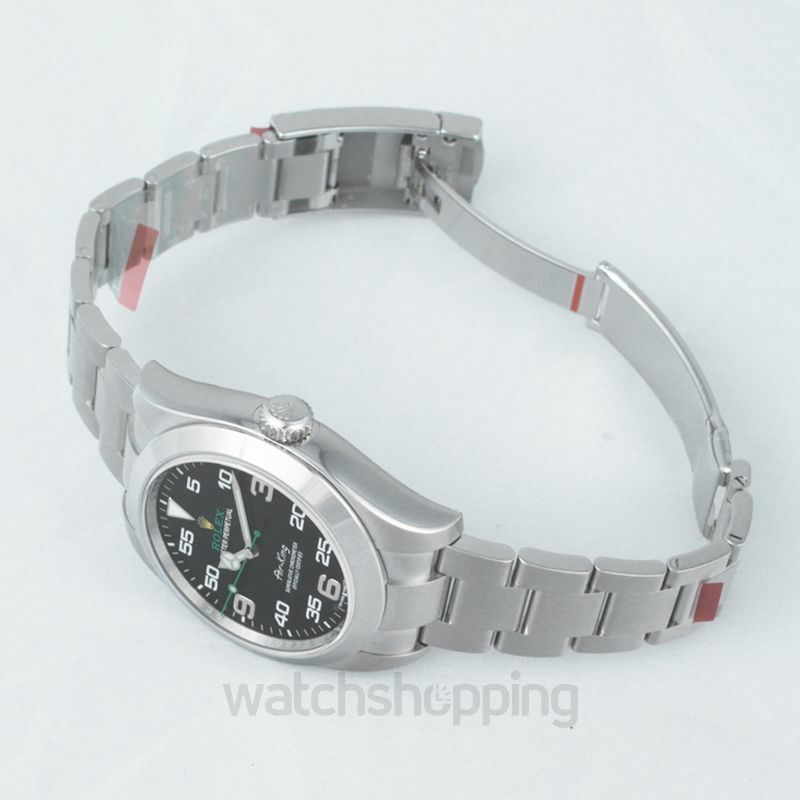 It is also scratch-resistant and has a 48-hour high power reserve.